For some Canadians, winter can certainly be a more challenging time to be active. Since much of the northern hemisphere becomes wrapped in snow, cold and darkness, it makes sense that many of us indulge in a ‘gloom’ mindset. And that’s not to say we intend to be that way…for the next few months you’ll be spending more time shivering, experiencing foul weather, shoveling, salting, and wearing more layers than any other time of year. And thanks to daylight savings time, there will be far less chances to see the sun after work. This ‘gloom’ mindset leads us to a simple, common question: What can we do to cope? If you truly want to be happy during winter, there is evidence that this is the wrong approach to the season. Changing your mindset can do much more than just distract yourself from the weather. Kari Leibowitz, a PHD student at Stanford University spent 11 months (August 2014 to June 2015) on a Fullbright Scholorship in Tromsø, Norway. To give you an idea of how far north Tromsø is, imagine the sun never climbing above the horizon between late November to late January. Leibowitz went to study the community’s overall mental health, since rates of seasonal depression were lower than you might expect with these conditions. Intrigued? “People view winter as something to be enjoyed, not something to be endured,” says Leibowitz. As it turns out, that makes ALL the difference. Small Norwegian communities are tightly knit with strong social ties with increased well-being everywhere. That said, there are lessons that can help anyone think differently about cold weather. The first takeaway? Norwegians celebrate the things one can only do in winter. “People couldn’t wait for the ski season to start,” says Leibowitz. Getting outside is a known mood booster, and so Norwegians keep going outside regardless of whatever is happening out there. Second, Norwegians have a word – ‘Koselig’. Most English speakers would translate it as “cozy”, but that term doesn’t even begin to cover everything that koselig can express. Rather than a direct translation, it is more of an important concept that is embraced in Norway. An ‘atmosphere’ that makes you feel a sense of warmth very deep inside in a way that all things should be: simple and comforting. (Like the best parts of Christmas, without all the stress 🙂 ) People light candles, light fires, drink warm beverages, and sit under fuzzy blankets. There’s also a community aspect; it’s not just an excuse to sit on the couch watching Netflix. Leibowitz reports that Tromsø had plenty of festivals and community activities creating the sense that everyone is in it together. Realizing the likelihood of you cross-country skiing straight out of your house is slim, and while ugly Christmas sweaters may be catching on, there are little things we non-Norwegians can do. Since it is not unusual for Maritimers to bond by complaining about the winter, this is really easy enough to change; simply refuse to participate in the Misery Olympics. Rather, talk about how the cold gives you a chance to drink tea or hot chocolate all day. Talk about ice skating, or building snowmen. 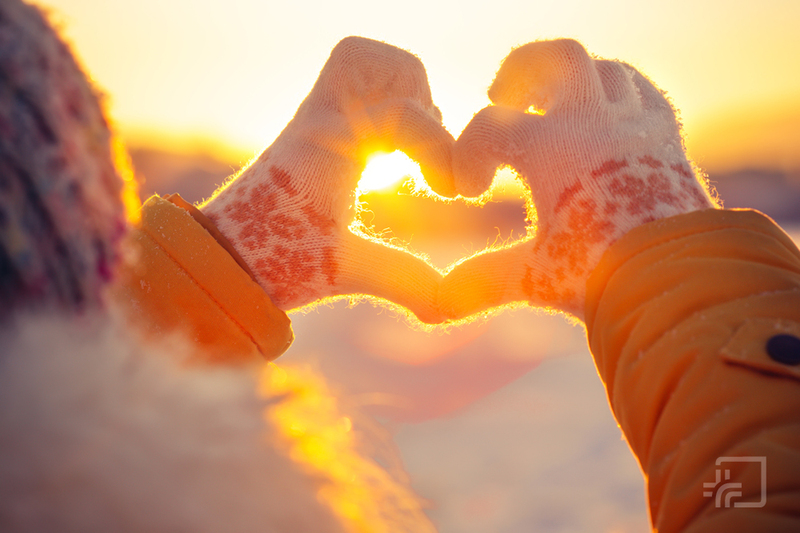 Bundle up and go for a walk outside, knowing that you’ll likely feel warmer and happier after a few minutes. Better yet, go with a friend. Social plans are a great reason to haul yourself out from under the covers. Create an ‘atmosphere’ in your home of dim light with a cozy vibe to create your very own Koselig. Overall, mindset research is increasingly finding that it doesn’t take that much to shift one’s thinking. While loving winter is a challenge for some, it is encouraging to know that other places in the world embrace it with notable results.